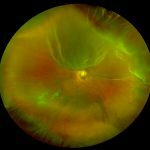 A retinal detachment (RD) is the separation of the sensory retina from the Retinal Pigment Epithelium (RPE) (outer segments of the photoreceptors from the microvilli of the RPE). 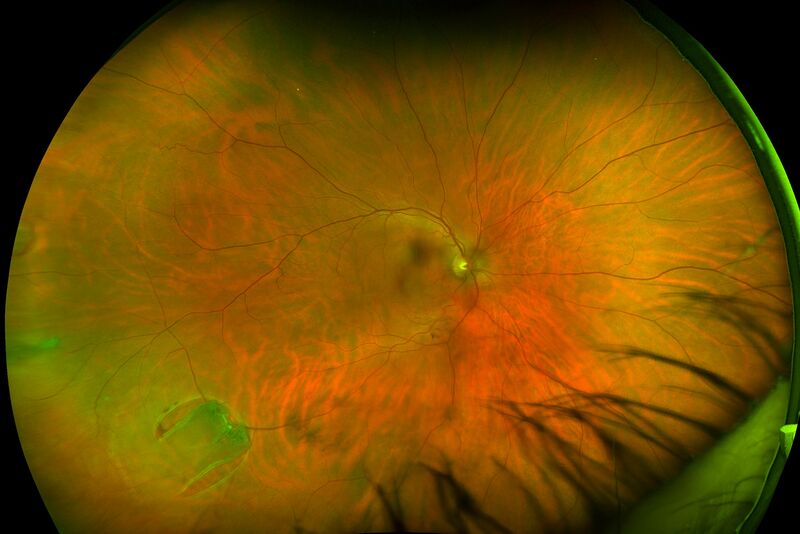 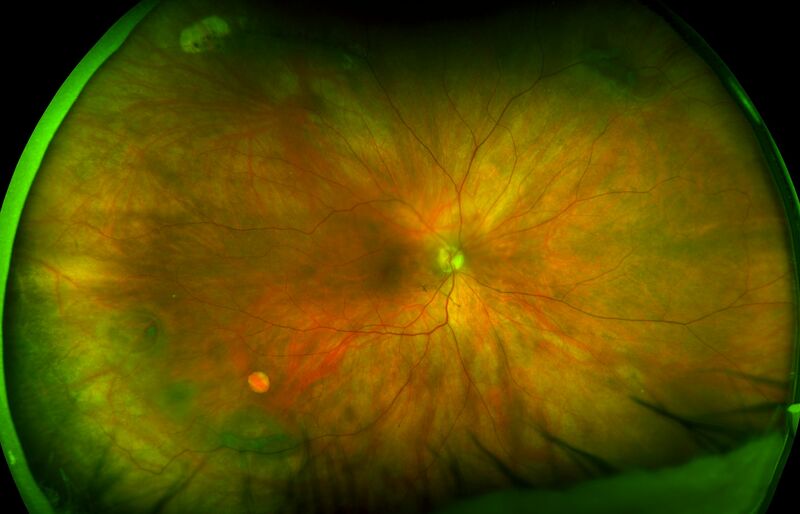 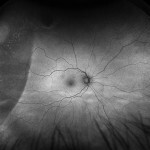 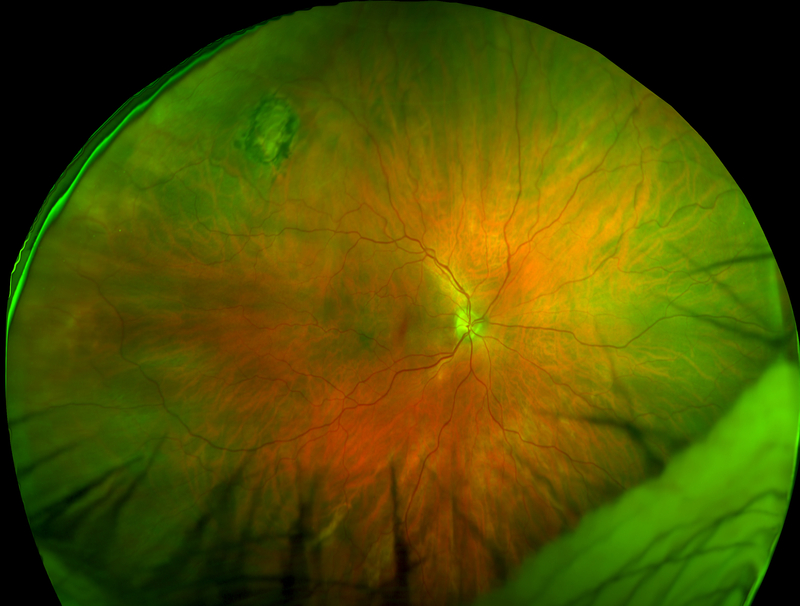 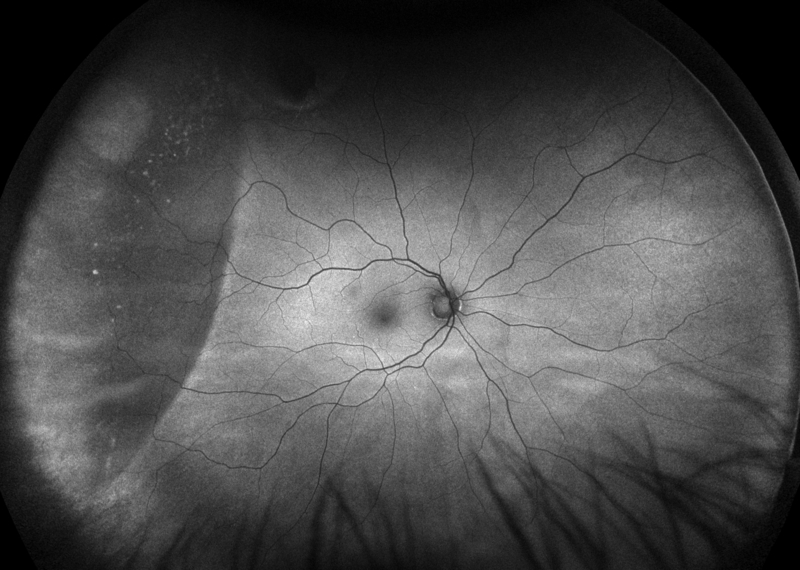 Some times the retinal vessels on the detachment will be dark in appearance, as seen in a retinoschisis. 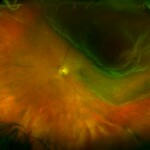 This is likely due to the vessels blocking the exiting light. 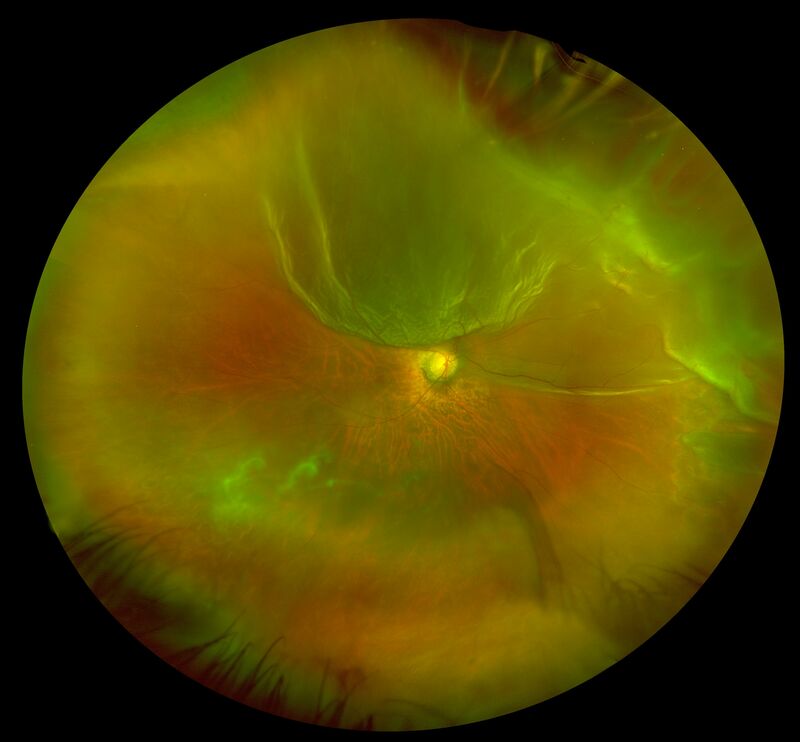 The appearance in a fresh detachment is of a white membrane, with tiny folds and blood vessels, in the vitreous cavity that moves (undulates) on eye movements. 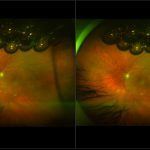 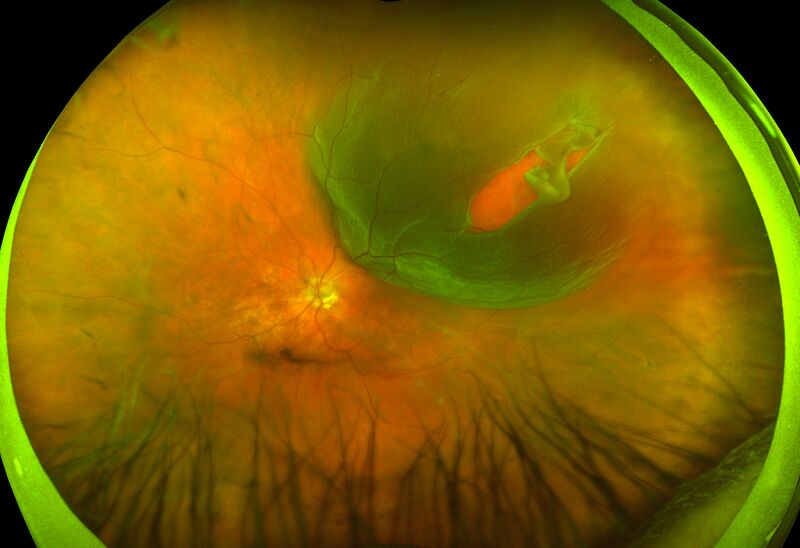 Because the outer surface of the detached retina is irregular (dangling outer layer segments) it will scatter light and this is what makes a fresh RD look white when using white light instruments to view it. 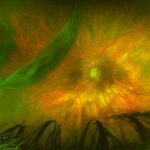 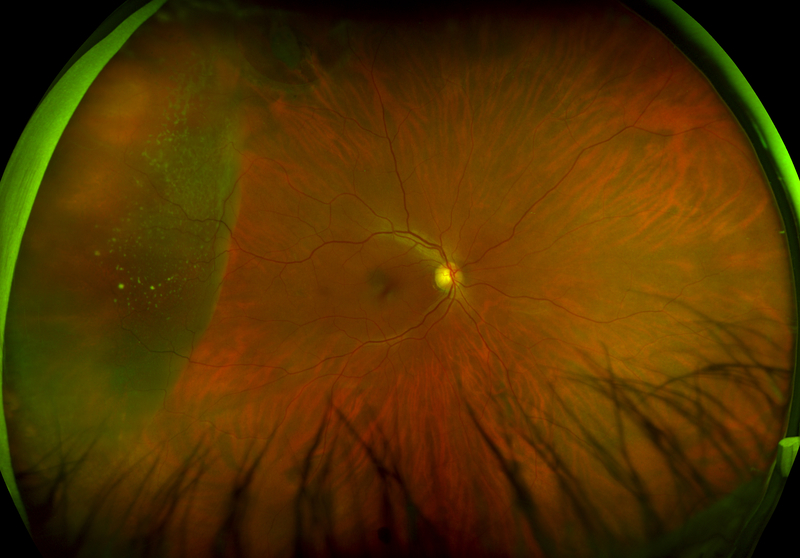 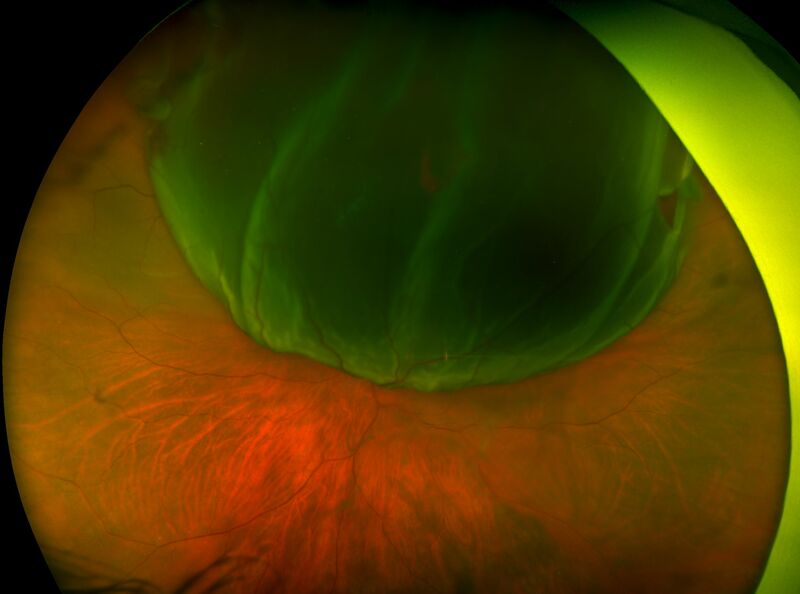 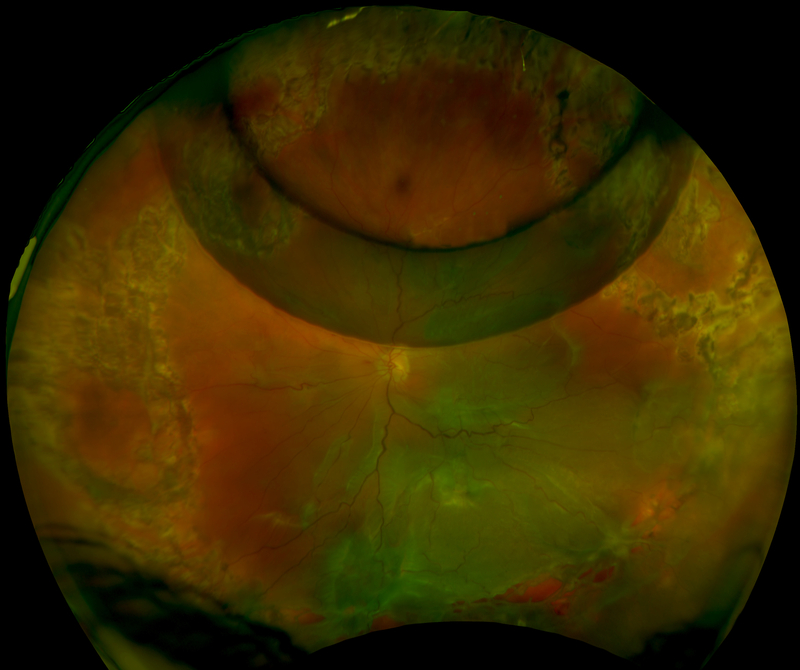 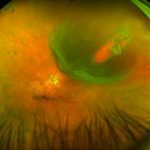 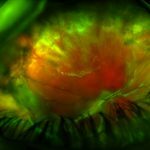 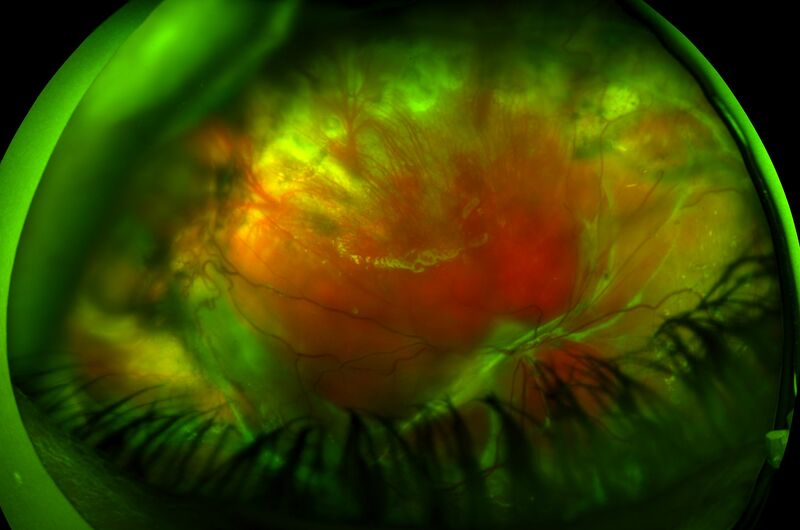 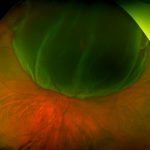 With optomap, the green light is scattered more; thus, causing the detached retina to have a green appearance when elevated into the vitreous cavity. 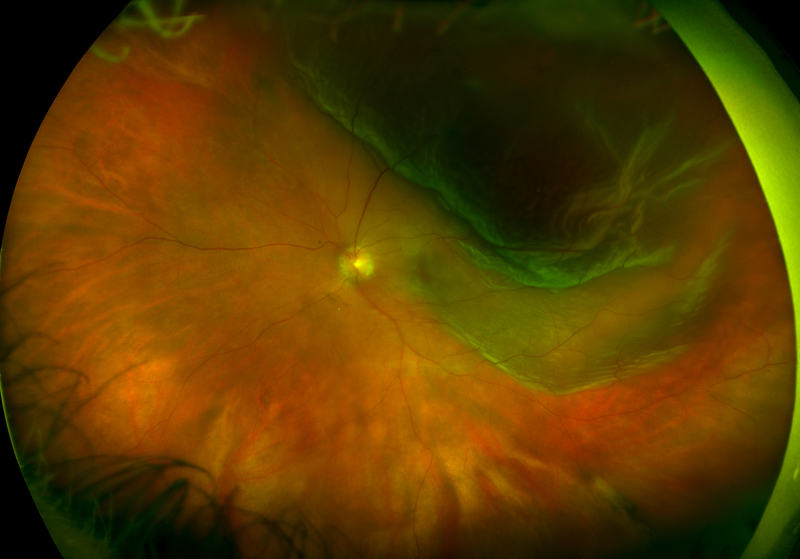 The underlying choroidal detail will be obscured by the scattering of the light (same with a retinoschisis but more prominent). 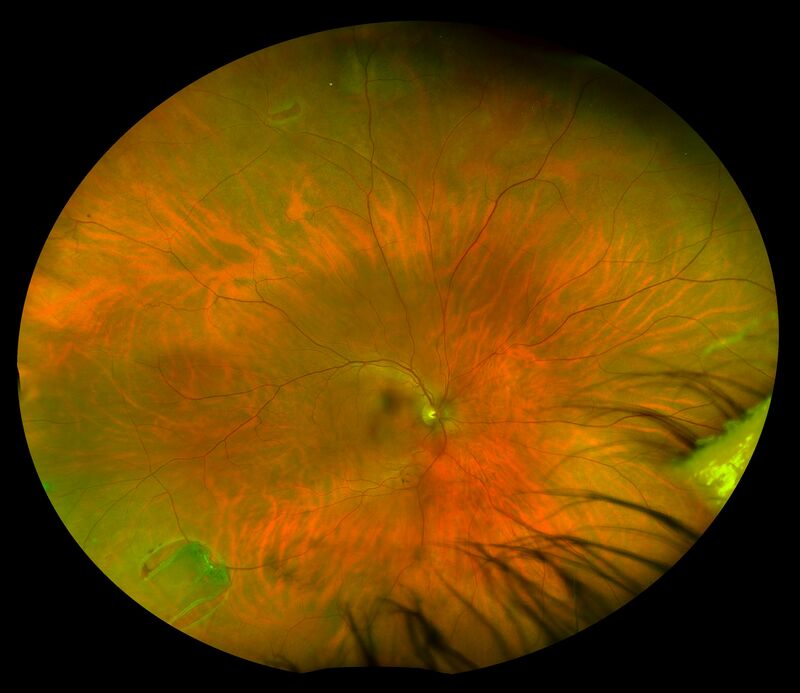 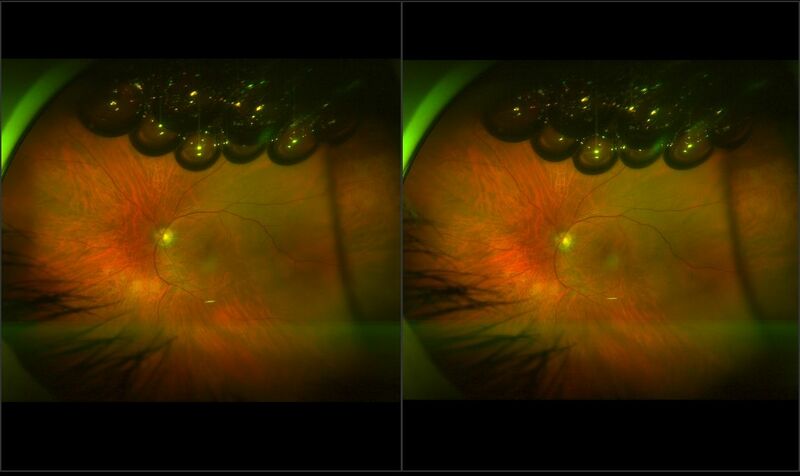 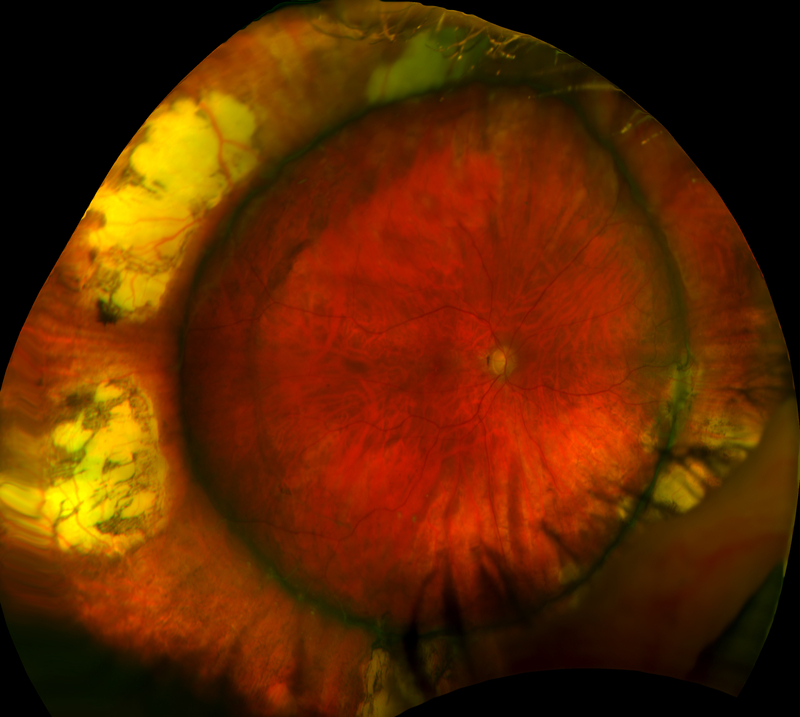 Obscuration of choroidal detail is seen better on the red laser separation. 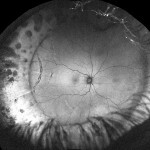 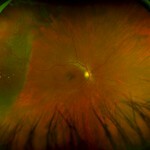 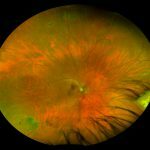 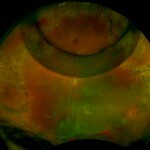 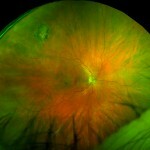 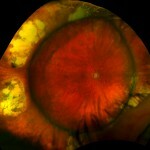 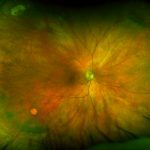 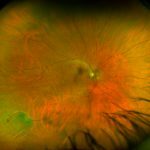 The most common reason for a RD is a retinal tear and the most common reason for a tear is a PVD. 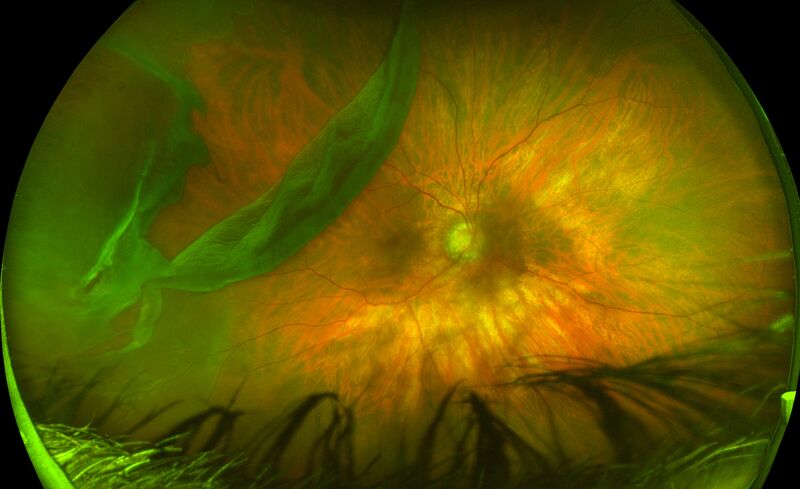 Tearing of the retina may produce retinal or vitreous hemorrhages. 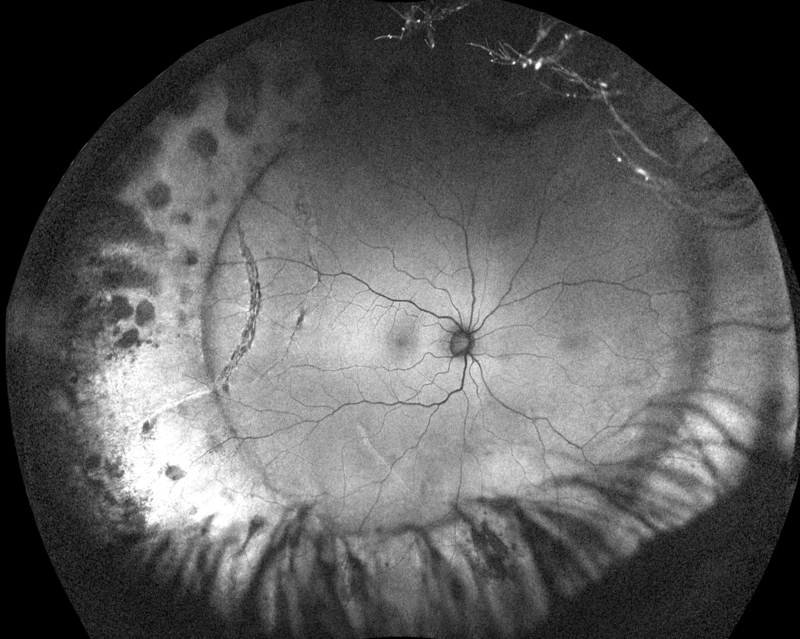 Almost all clinically significant RDs (greater than 2 Disc Diameters (DD) from the edge of the break or 1 DD posterior to the equator) if left untreated will eventually lead to a blind eye, therefore, they are always treated.